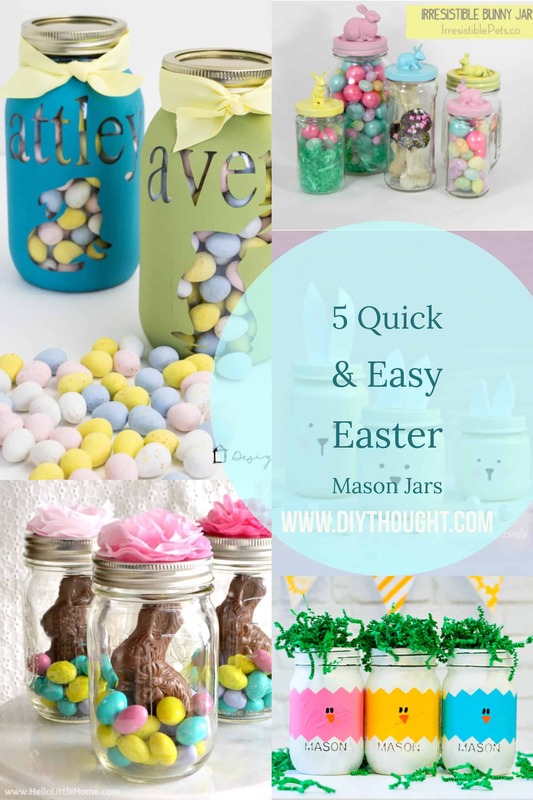 There is still time to create some unique Easter jars with these 5 Quick & Easy Easter Mason Jars! Fill them with Easter treats to make the perfect Easter gift. 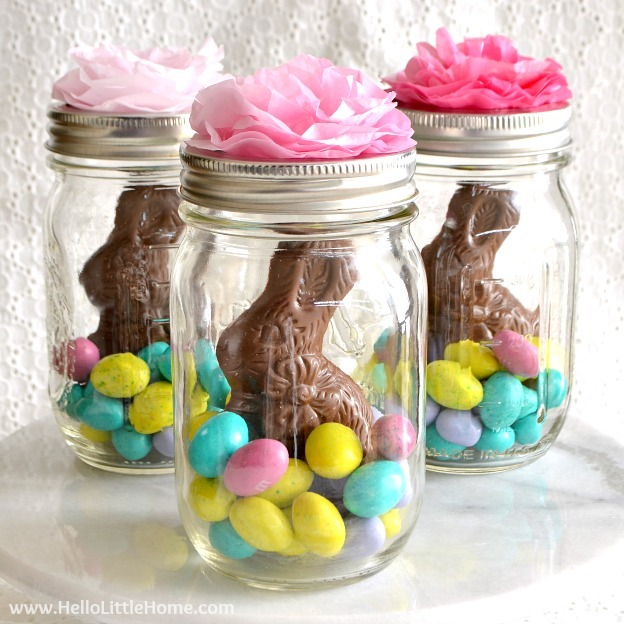 Your kids, granny or the neighbor will love to receive one of these Easter jars or alternatively put them on display for a fun Easter decoration! 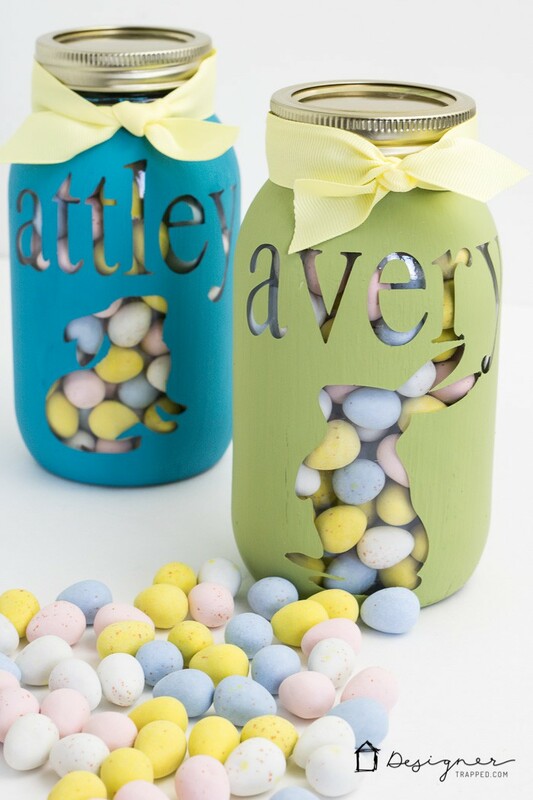 We love the finished look of these personalized Easter mason jars! These stunning jars are made by painting over vinyl stickers. Click here to get the full tutorial. It really doesn’t get any quicker or easier than these flower top mason jars! Made from layers of tissue paper they look very intricate but are SO simple to make. Click here to find out how to make them. 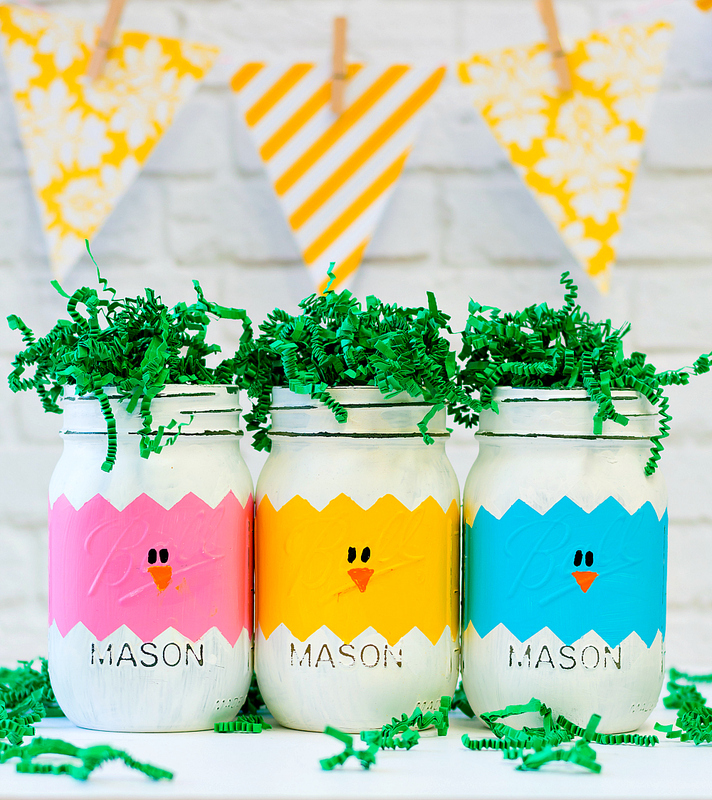 ‘These Peeps Mason Jars couldn’t get any cuter! We love how even novice painters can create something so cute. Follow this link to get the full tutorial. 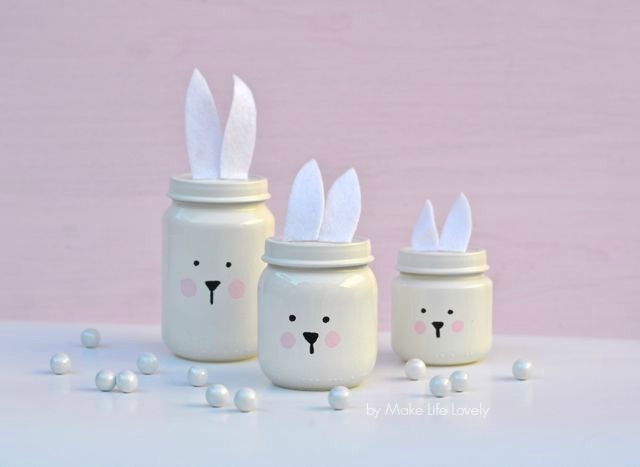 The felt ears are a special touch on these Painted Easter Bunny Jars. Kids will be hopping with excitement to receive one of these Easter jars. Get the full tutorial here. 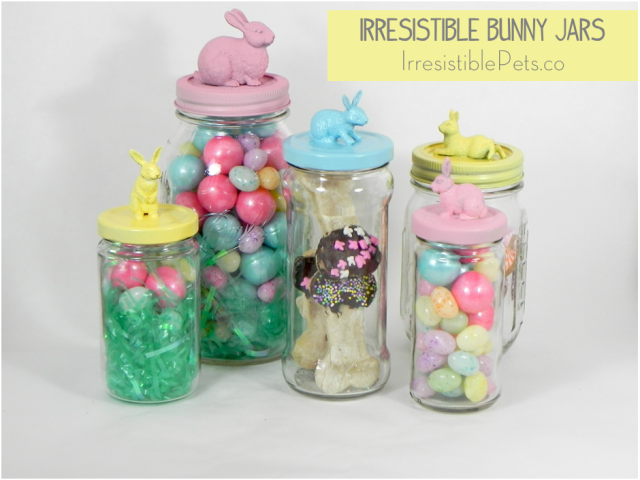 These Irresistible Bunny Jars really are irresistible! Made by gluing on a plastic rabbit and then painting they are a fun quick and easy project. Click here to get the full tutorial. More Fun Easter activities can be found here.